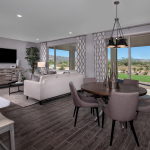 GOLD CANYON, Ariz.--(BUSINESS WIRE)--KB Home (NYSE: KBH) today announced the grand opening of Peralta Canyon, its latest collection of new single-family homes in Gold Canyon. Nestled in the foothills of the Superstition Mountains, Peralta Canyon is convenient to U.S. Route 60 and Loop 202 for easy access to Mesa, Chandler and the Phoenix metro area. Residents of Peralta Canyon can enjoy the community’s proximity to a variety of outdoor activities such as hiking the Peralta Trailhead, biking in Hieroglyphic Canyon, camping in the Superstition Mountains and enjoying the scenic views of the Wave Cave. Golf enthusiasts can tee off at one of the five nearby 18-hole courses that have breathtaking vistas of the surrounding area’s natural beauty. Peralta Canyon is also close to Superstition Springs, which offers abundant shopping, dining and entertainment options. 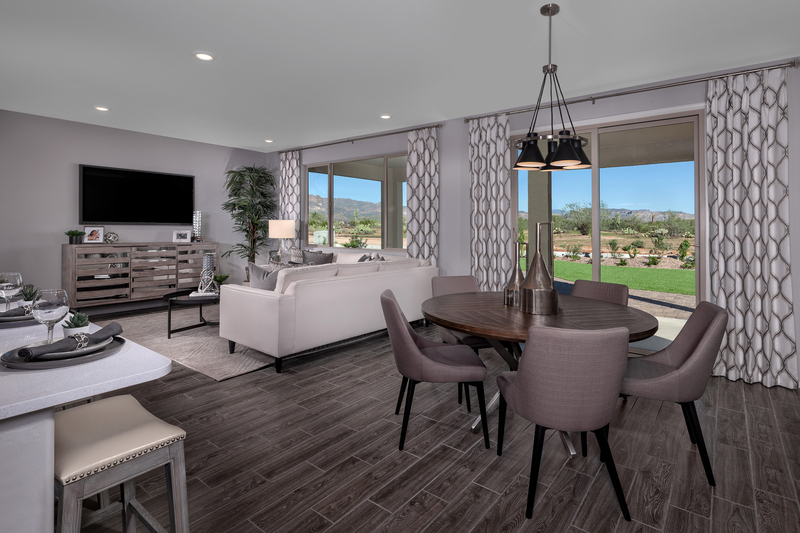 KB Home will host a grand opening celebration at Peralta Canyon on Saturday, Dec. 1 from 10 a.m. to 6 p.m., during which attendees may tour the two elegantly-appointed model homes. In total, KB Home will be constructing 47 one-story homes and offering four distinct floor plans. With up to four bedrooms and two bathrooms and ranging in size from 1,400 to 1,900 square feet, the homes at Peralta Canyon also feature such desirable design characteristics as charming outdoor patios, spacious great rooms and elegant master suites. Pricing begins in the low-$200,000s. The KB homes at Peralta Canyon will be built to current ENERGY STAR® guidelines and include WaterSense® labeled faucets and fixtures, meaning they are designed to be more energy- and water-efficient than most typical new and resale homes available in the area. These energy- and water-saving features are estimated to save homebuyers between $924 to $1,152 a year in utility costs, depending on floor plan. To get to the Peralta Canyon sales office; from Superstition Freeway 60, exit onto Peralta Road heading east and the sales office will be on the right. The sales office is open Tuesdays through Sundays from 10 a.m. to 6 p.m. and on Mondays from 2 to 6 p.m. For more information about Peralta Canyon, or KB Home’s other new home neighborhoods, visit www.kbhome.com or call 888-KB-HOMES.